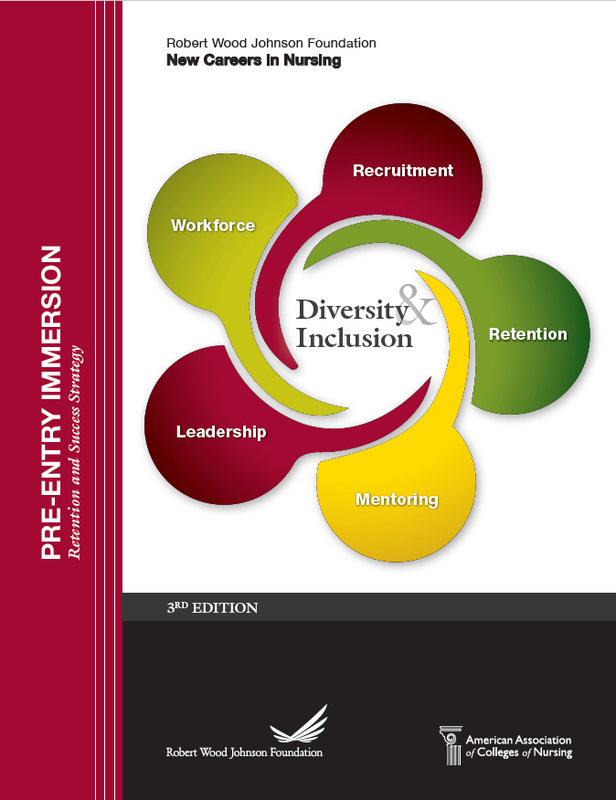 This Toolkit was designed to assist nursing schools in recruiting students who are members of underrepresented groups in nursing. 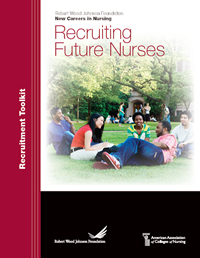 The New Careers in Nursing (NCIN) National Program Office (NPO) first released the Pre-Entry Immersion Program (PIP) Toolkit during the 2010-2011 third round of funding. This Toolkit is a turnkey manual that provides content materials and implementation recommendations. The intent was to guide faculty in preparing scholarship recipients for the rigors of an accelerated nursing program. 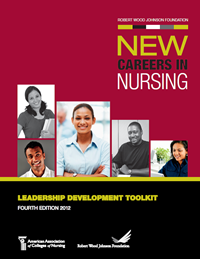 The Leadership Development Toolkit was designed to offer guidance for college of nursing faculty members to assist in developing students to become nursing leaders. The Toolkit provides continuous, consistent leadership development activities for students over the course of their accelerated nursing baccalaureate or masters program. 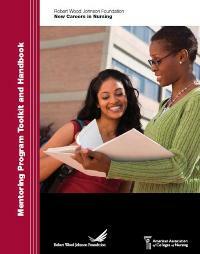 This Toolkit was designed to guide NCIN grantees in fulfilling the grant requirements of a mentoring program, as well as meet and sustain the leadership and mentoring requirements of the scholarship grants from the Robert Wood Johnson Foundation. The recommended activities were designed to provide nursing school faculty members tools to assist New Careers in Nursing scholarship recipients and nursing students. This Toolkit offers support and structured opportunities to prepare students for the rigor of an accelerated nursing program. 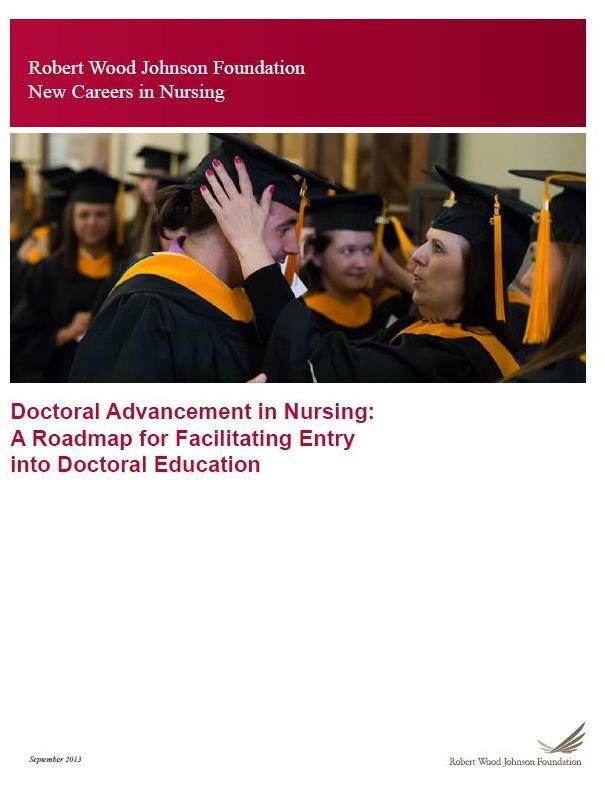 The Doctoral Advancement in Nursing (DAN) project was designed to enhance the pipeline of future nurse leaders, faculty, and researchers by using strategies that identified, encouraged, and supported students interested in pursuing doctoral degrees. This important work focused on graduates of accelerated and traditional nursing programs who came from groups underrepresented in nursing or from disadvantaged backgrounds. By establishing mentoring relationships, students were guided through the application process into doctoral study and received expert advice that helped identify potential sources of financial support.